"My husbands 70th went off with a huge success thanks to Ian and his wonderful casseroles, no fuss for me and a beautiful meal for everyone present, stroganoff was a huge hit. Think I've converted quite a few of our guests to come visit the casserole shop and have a taste to buy. I'm a fan big time!! Cheers and many thanks to Ian and Trish. " "Sometimes you want to eat a meal which is 'healthy and nutritious" however you cannot be bothered cooking it yourself. 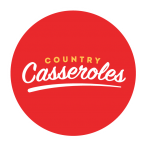 This is where Country Casseroles is perfect. They provide meals like curried sausages and beef stroganoff amongst my family's favourites. And you can also buy the meals unheated so you can heat them at your convenience. Delivery is also offered." "Great food, great customer service! Food is amazing! A must have when I come to Ballarat! Food is amazing!" "This shop sells very nicely prepared food, with a wide range of casseroles as well as salads and desserts. Definitely a good place to visit when you are too tired to cook but want a meal that tastes home-cooked. The staff are always friendly and will always run through all the options with you."